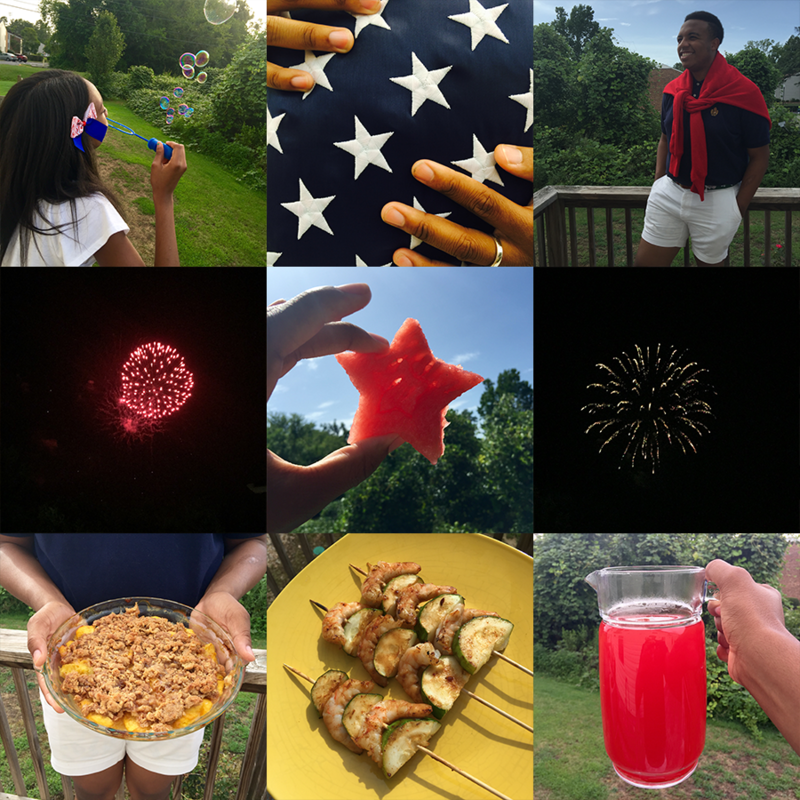 Frolicks from the Fourth: Appreciating My Country! 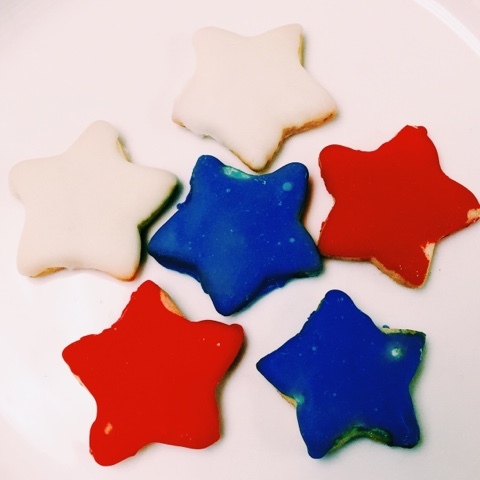 Happy 4th, Everyone! So even though this post is on the tail end of the day, I still watned to get a post in about my AMAZING 4th of July! As we all know from the closed post offices, to the intense explosions of fireworks, to smoke from the grill... 4th of July is THE classic American staple. I mean, it is our nation's birthday! As I grow into a young adult, I start to appreciate my country for all the opportunities that I am blessed with, and even now the things that I took for granted as a young child. Today, I counted about 4 times where I stopped and thought about something that I have that someone in another country doesn't. I would love to share those things with you, and then we can talk about my day. 1. Post Office Technology: Today, I was reminded that I needed to send my cousin Chris a package for his birthday. He's going to Los Angeles next week, so I wanted to make sure he had it. I knew that the post office was closed, becuase of the holiday, however, something told me just to go check. I arrived at the post office and there flashed a sign saying, 'SELF SERVICE KIOSK INSIDE'. I was ELATED! I was able to use the modern technologies of the post office to send my cousin his package, and he will recieve it the day before he leaves for Los Angeles! I am a huge technology nerd, so I already appreciate good technology. However, knowing that I can use techonology to help in my emergency situations and having the peace of mind knowing that everything is ok is so amazing to me. 2. Igniting the Interstate: When my mom handed me the keys to her SUV and asked me to drive to Aiken, SC to pick up our Bar-B-Que for the day, I was reminded of how connected we are as a nation. Although I live on the border of Georgia and South Carolina, someone still had to build the interstate between the two. I always saw I-20 as just an easier way to get around, but now that I have my own vehicle and have to travel, I realize how important it truly is. I couldn't imagine not being able to get to the things I need/want because of poor transportation, I am so happy that here in America, that isn't an issue. 3. MOOD FOR FOOD: I cannot express enough how much my mom affects my life. Not only is she my financial provider, she has taught me so much about so many things, especially when it comes to the kitchen. My mother is a MASTRESS (is that a word?) in the kitchen. From frying to cutting to baking to mincing, my mother can do it ALL (and very fabulously might I add). If good taste was a chromosome, I can honestly say I inherited it from my mom (She's a Biology lady, so she'll think that's funny.) The way my mother places ribs on a plate, the way she sprinkles toasted oats and brown sugar over peaches, even the way she cascades barbeque sauce over the tender ribs, my mother is truly EXCELLENT in the kitchen. Now, I'm definitely not saying that I've ever taken my mom's cooking for granted (I have a stomach to prove that). What I am saying is that now that I'm older, and my mom let's me lend a helping hand, I see the time and preparation it takes to prepare such a fabulous meal. I also know that many people aren't blessed to be able to host a fabulous feast at their home like we do. Not just outside of America, but even in the states, we see people who have no families to share their Independence Day with. I am just happy and blessed to know that my family is together on such a glorious day. 4. Patriotic in Polo: What 4th of July would be complete without the stylings of a full Ralph Lauren fit. My dream in life is to be the next Ralph Lauren, so it's amazing how we are so fortunate to have him in our country as one of the premier designers, as well as wear some of his fabulous designs. This one is pretty self-explanatory. I love fashion, and I am so blessed to have what I have in my closet. My 4th ended by me taking my little brothers Timothy and Mick to watch the Fireworks at the Lady Antebellum Pavillion, despite the massive amounts of traffic, we had a great time! I hope your 4th was as amazing as mine. I'd love to talk more, by my July 5th starts with an 8AM shift.